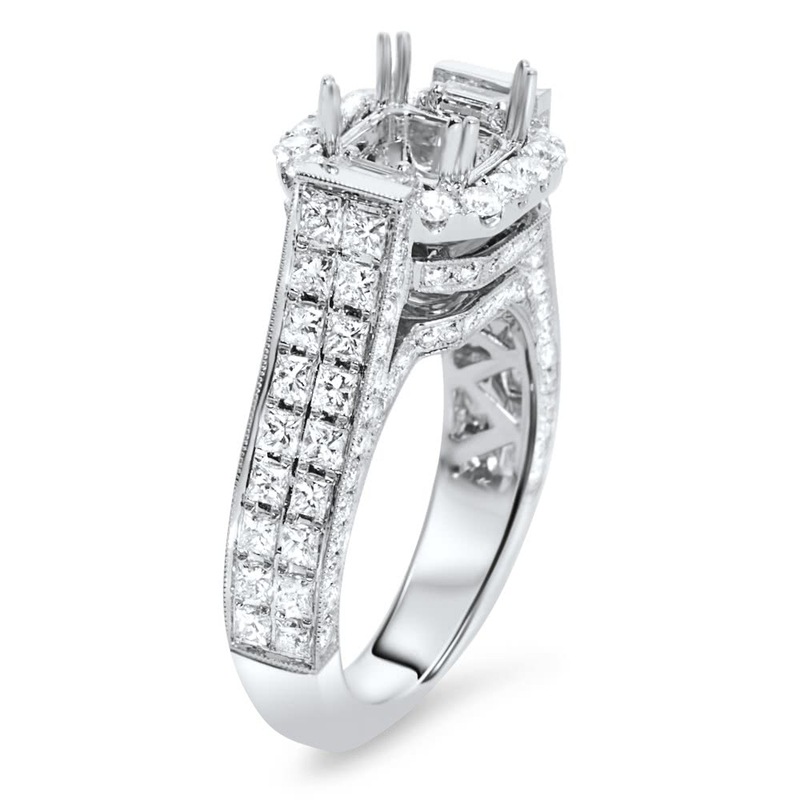 18k white gold diamond cathedral engagement ring with 9 pairs of princess cut side stones. 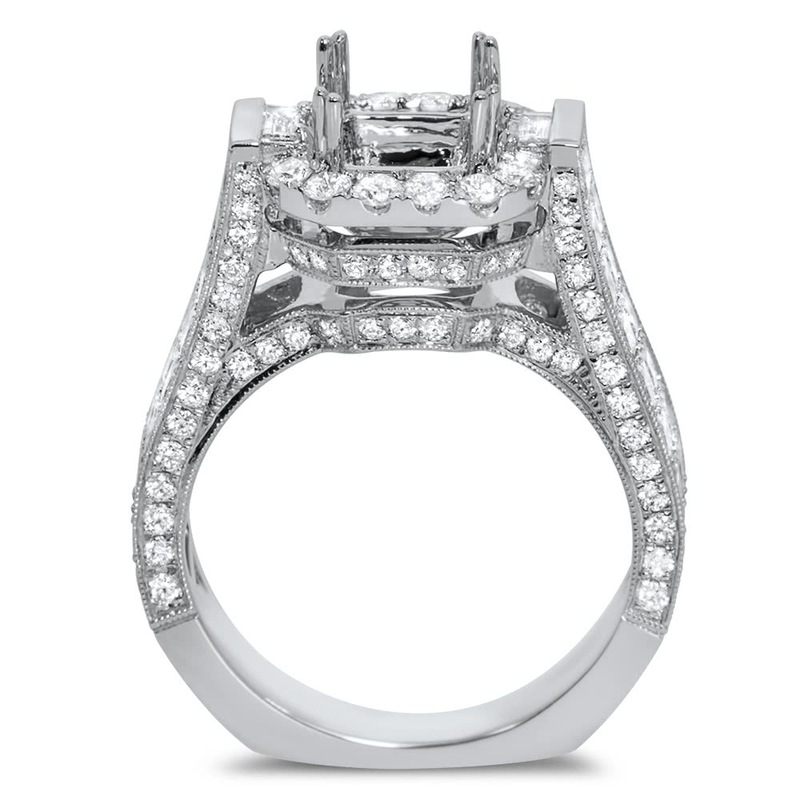 The halo, front and back sides of the ring are set in micro pave and with filigree. 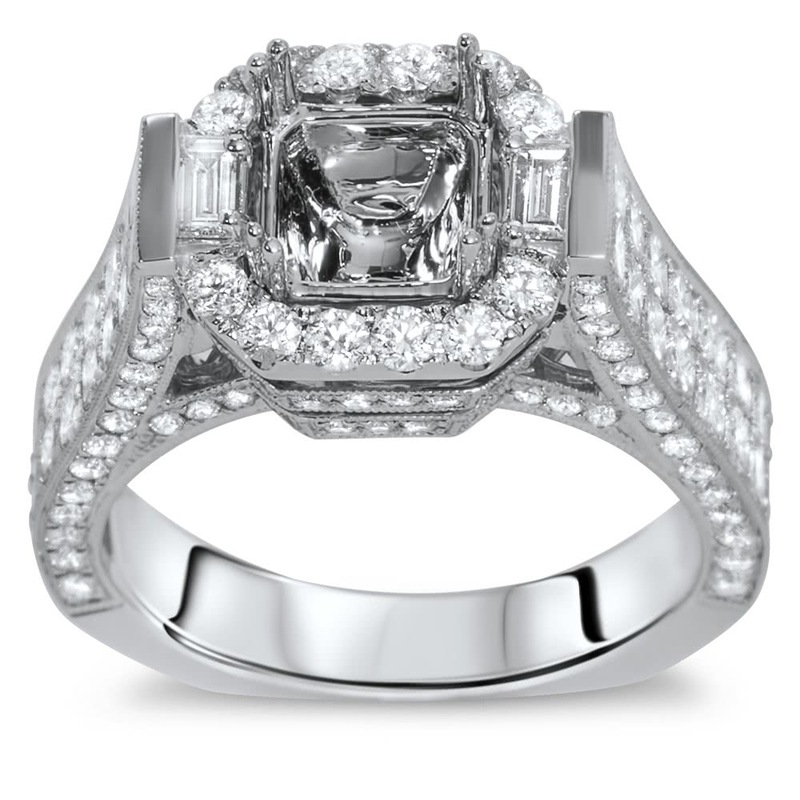 The ring will hold a round, cushion, radiant, or asscher cut diamond.